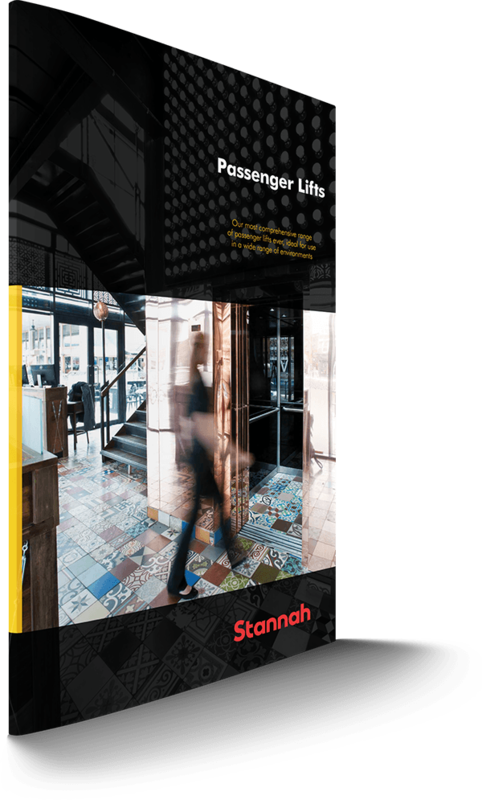 We offer passenger lift services right across the UK to meet any vertical requirement, from the standard to the bespoke, with every type and style available. Our passenger lifts can be supplied either individually, or as part of multiple lifts in a major development. Working with you to ensure each one is suited to its travel, traffic, situation and finishes to suit. Our lifts offer a choice of traction elevators and hydraulic systems, internal and external, with and without a motor room, to fit all sizes of lift shafts and structures. All our lifts conform to the EN81 20 and EN81 50 lift standards for design and manufacture, replacing the defunct EN81 1 and EN81 2 lift standards. This means you can rely on us for a safe lift installation and ongoing lift safety. Our service is tailored to our customers. Working with consultants and architects to deliver the perfect lift specification; with construction, professionals to help deliver a tight project deadline; with existing lift owners to help with both new lifts and replacements. We support you every step of your project – from building design to construction and throughout the lifetime of the lift. No problem. With the capability to supply lifts for 4-46 persons (up to 3,500kg) that travel up to 48 floors and up to 3.0m/s, we get involved in a variety of bespoke and major projects. Where required, we also take on the role of principal contractor, with our work for Network Rail stations being a prime example. The first step is to get in touch with our technical team to discuss your project in greater detail. Our lifts contribute to the building’s overall energy efficiency, have a minimal environmental impact and are designed to deliver ride comfort year after year. So you can get BREEAM points and low life-cycle costs. Our open protocol systems mean no costly tie-ins. 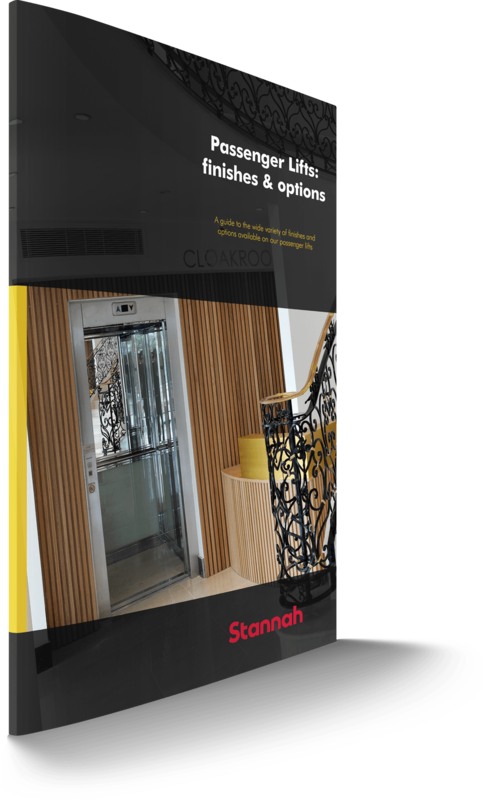 When you specify a Stannah lift we don’t tie you into using us for maintenance and repair, instead, we aim to deliver a quality service that means you choose to stay with us. Safety is our utmost priority. So we make the sure every lift is certified according to the Lift Directive 2014/33/EC, fulfils all the relevant British Standards and is equipped with the latest passenger safety features. Looking for a specific type of passenger lift or have a particular requirement? Stannah updates an historic passenger lift whilst conserving its yesteryear veneer – boosting access in the transformation of the Grade II-listed Bristol Police HQ into the YMCA’s The Bristol Wing. We were recently delighted to add a seventh Stannah lift to our favourite UK visitor attraction – Brunel’s SS Great Britain. 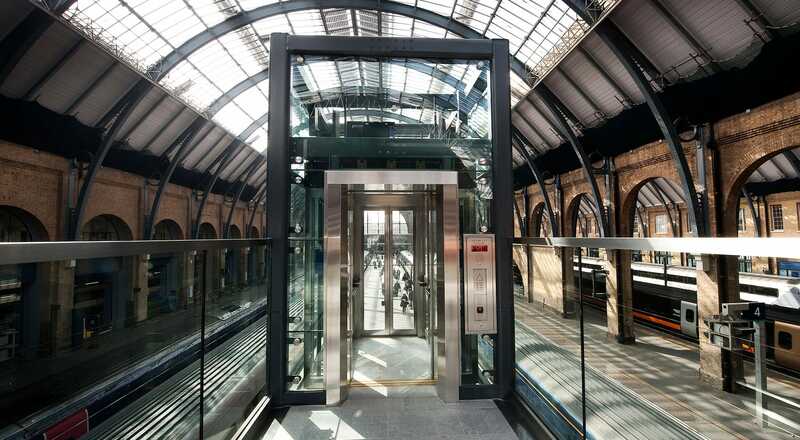 This time the lift is in the NEW ‘Being Brunel’ museum that aims to inspire budding engineers to follow in the footsteps of Isambard Kingdom Brunel. What better role for a Stannah passenger lift than to deliver essential access for children with severe learning, sensory and mobility difficulties throughout Jack Tizard School, in Shepherd’s Bush, London. “Never was so much owed by so many to so few” at the National Army Museum in Chelsea, London,where two Stannah passenger lifts are installed as part of the recent £multi-million redevelopment.